PROMOLUX Lighting International makes specialized lighting products for illuminating and merchandising supermarket and specialty store displays. 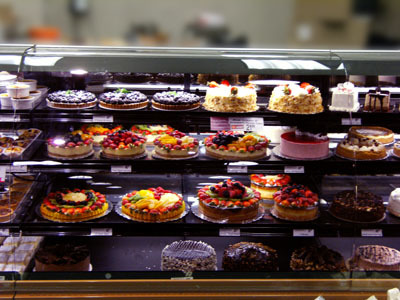 Promolux Balanced Spectrum can enhance top display cabinet designs by producing the best high definition color, low glare and food safe lighting available to the supermarket industry. 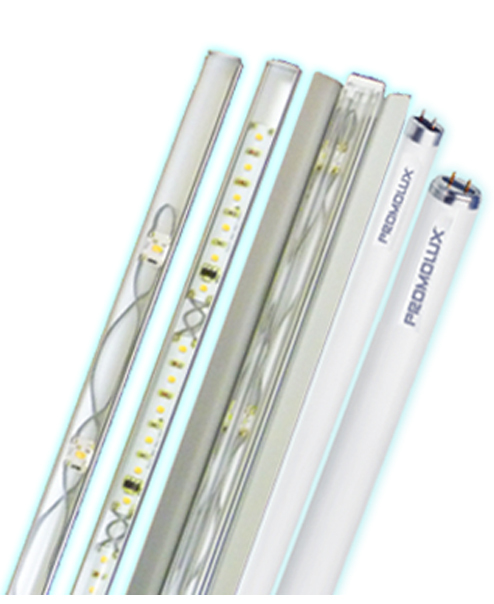 Where are Promolux Balanced Spectrum lamps used? It's important for store designers and independent store owners to implement the best measures to bring marketing success for every application where superior lighting, product frshness and food safety are important considerations. Food marketing applications include fresh meat and seafood displays, bakery and dairy cases, deli and food service displays, produce and floral displays, and beverage coolers. Promolux lighting improves all visual marketing displays especially where superior color balance and protection of colors and surfaces are important. For example, like art displays, galleries and museums, wine shops and gourmet chocolatiers, cosmetics counters and boutique clothes stores. Any application or product that fades and spoils under the heat and light is a candiate for Promolux lamps. It's simple, just call us to find a Promolux supplier near you and change your drab fluorescent of spot lights with Promolux commercial fluorescent or specialty lamps in all of your display cases or lighting fixtures. Every store works hard to draw attention to bakery items, fresh fruits and vegetables, local and organic meats and sustainable harvested fish. It makes sense to merchandise and showcase specialty items like decadent cakes and tasty treats, to tender, juicy steaks and mouth-watering fish under a light source that reveals the foods true colors without damaging the appearance and integrity of those items. It is especially important to protect sensitive and highly perishable products which represent a high cost to the retailer. 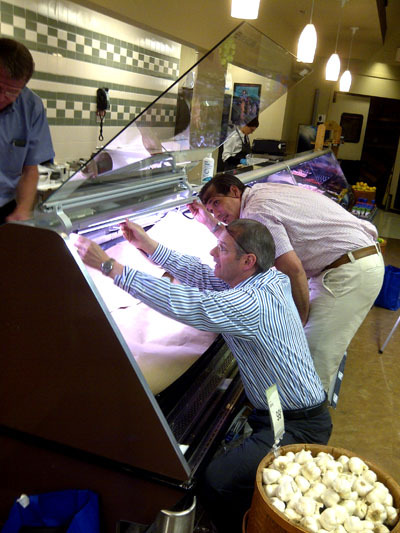 Promolux is a light source that will protect foods and SAVE you money. Retail store designers, original equipment manufacturers, reskinning and refurbishing specialists can all count on Promolux to support the true merchandising, presentation and protection of fresh foods while on display. Well designed commercial store lighting can be planned to include proper lighting for in-and-around the food zone of perishable and fresh food departments. It's great to create a mood or atmosphere and guide shoppers throughout the store BUT store lighting planners need to consider the imapct that overhead and case lighting has on fresh foods. The heat and glare from ambient lighting can wash out the colors and impact the artful presentation of a display case but even worse it can create problems in the freshness and integrity of those departmental items. A lighitng system should be tailored to draw attention, highlight products on display and encourage constant customer traffic without sacrificng product appeal and quality.